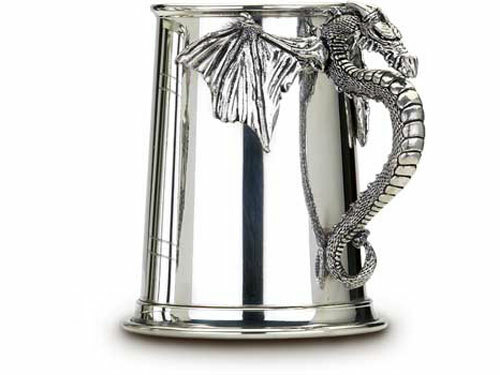 This is a 1 pint Dragon handle heavy weight pewter tankard. It has a straight sided plain body with an intricate dragon shaped handle. This tankard is made from a thicker gauge metal so is heavier than a standard tankard. It is 150mm high and 80mm wide. It comes packaged in black carton box with the word pewter on in white.